Create Customized Models and Molecules. This assortment of color coded atoms and bonds features polypropylene atoms and flexible vinyl connectors to represent the bond linkages. 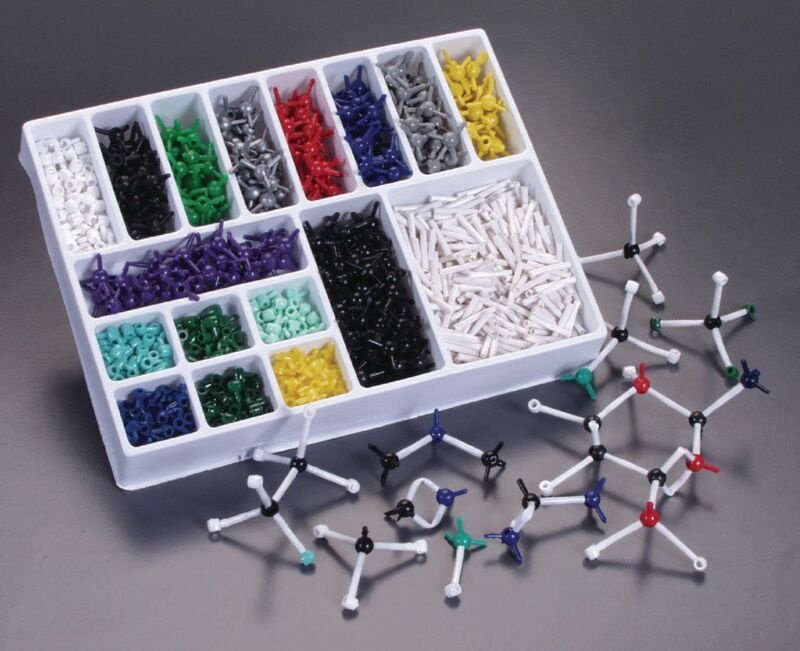 The models are easy to assemble to create single, double, and triple bonds. Once constructed, the models are sturdy and come apart only when disassembled. The kit contains an extensive assortment of 480 atoms and 300 bonds.